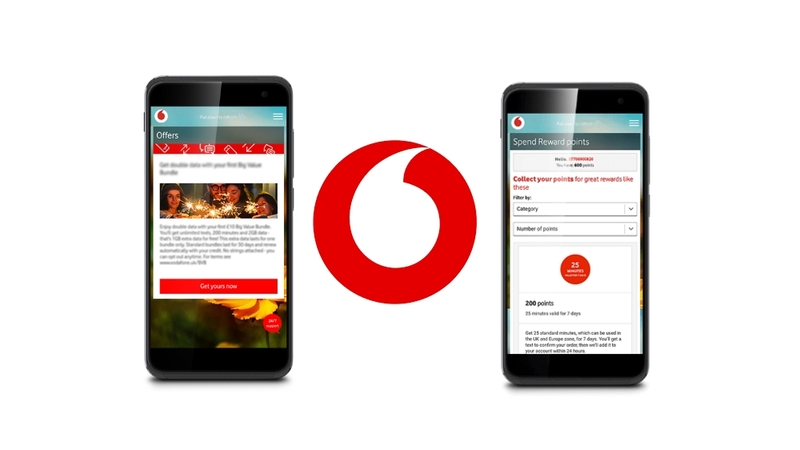 This week Vodafone rebranded its B2B unit from Vodafone Enterprise to Vodafone Business. It’s a subtle change but one that reflects the Newbury-based operator’s focus as it continues to grow its Internet of Things (IoT) division and rolls out 5G networks in key markets. The company has repeatedly complained about intense competition and strict regulations in Europe that have impacted the performance of its mobile unit and has looked at converged networks and business applications as a source of growth. In the first half of 2018, Vodafone Business accounted for 30 per cent of the Group’s service revenues. The transition from Vodafone Enterprise to Vodafone Business was motivated by a desire to increase awareness of the brand as it adds more services to its portfolio and to encourage businesses mobile customers of all sizes to take out additional products. Vodafone Enterprise previously had no customer-facing logo and appointed Iris Meijer as chief marketing officer to spearhead the rebrand. A new marketing campaign focusing on business outcomes has been created, with creatives appearing at Heathrow Airport before Christmas, says The Drum. “Customer centricity is a concept that has stood the test of time. When we began to explore the idea of our brand refresh, reaching out to our customers from the home office to the boardroom, each was worried about the same thing: digital transformation,” said Meijer. Vodafone Business is targeting multinationals who can take advantage of Vodafone’s global footprint, government customers, and vertical industries such as health, logistics and automotive, hoping to cross-sell mobile, fixed, IoT and cloud computing services. IoT is a huge focus for Vodafone, which has the largest number of IoT customers of any operator in the world, with connections rising 28 per cent to 77 million in the most recent quarter. It was one of the main driving forces behind the standardisation of Narrowband-IoT (Nb-IoT) and offers a range of IoT products for customers such as surveillance and energy management systems. It is IoT and 5G that offer the most potential. After 4G failed to open up the new revenue streams that operators thought it would, 5G is seen as a way to add additional services rather than just be ‘dumb pipes’. 5G networks will bring ultrafast speeds and greater capacity but it is the low latency that has operators excited as it will facilitate the creation of entirely new business applications. Meanwhile the GSMA predicts that just 5 per cent of the £830 billion worth of IoT revenue up for grabs will be generated by connectivity – meaning operators need to identify new services and products. Vodafone’s rebrand is not only designed to increase awareness of its wares but also to reiterate the fact that organisations of all sizes – not just enterprises – can benefit. The company is of course not alone in chasing the business market. In the UK, BT- EE will target enterprises in its 5G rollout, while O2 has sought to estimate the savings on offer for local councils. But ever since Vodafone made the first mobile phone call in the UK in 1985 it has developed a reputation for being a significant business operator whose tentacles extend to all parts of the globe. It hopes this reputation will see it maintain this advantage as the industry enters the next stage of its evolution. It has also published its 2019 Global Trends Report, highlighting people-centric technology, AI and ethics as key topics for the next 12 months, in a bid to demonstrate this awareness of business needs. “Our research has identified the key concerns, challenges and opportunities that businesses will face over the next year,” added Brian Humphries, Vodafone Business CEO.